A Business Process Mapping is a business analysis technique commonly used for capturing how a business process works and how individuals from different groups work together for a business initiative to achieve a business goal. 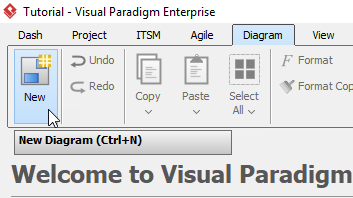 Select Business Process Diagram from the New Diagram window, then click Next. 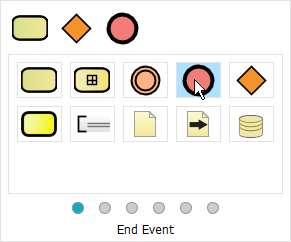 You can filter the diagrams using the search bar above. name the diagram, the click OK. We will make the diagram Job Posting in this tutorial. Rename the pool by double clicking the pool. In this tutorial, we are naming the pool Company. The Auto Stretch setting of every pool is On by default, which means the length of the pool will stretch along the diagram. However, we don’t want this in the tutorial. 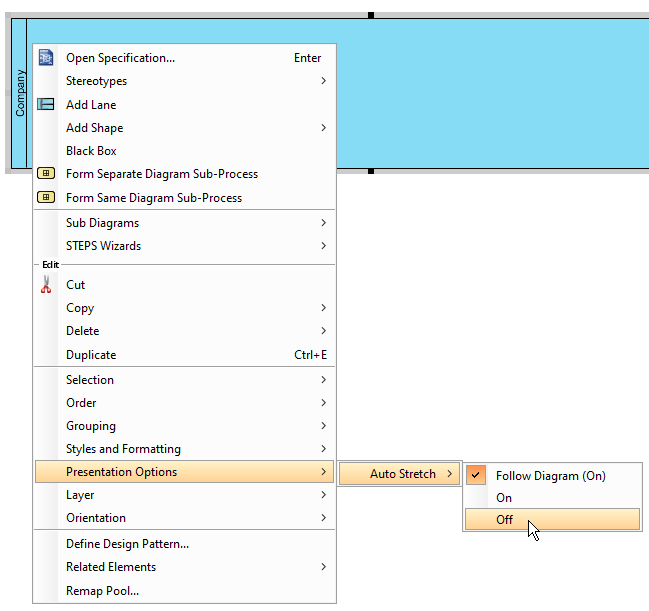 We can disable Auto Stretch by right clicking Company > Presentation Options > Auto Stretch > Off. To create a lane, click Company’s empty space, then press the resource button Add Lane. 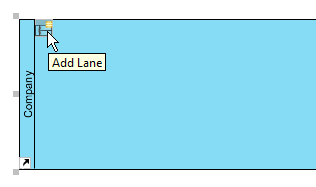 You can rename the lane by double clicking the lane. To create a start event, select Start Event, then click the lane you want the start event to be placed. We will place the start event on the Business Department lane in this tutorial. 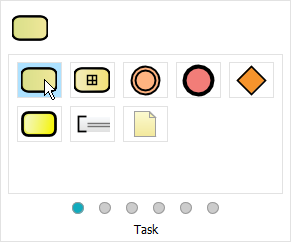 Double click the task to rename the task. We are renaming the task we created at step 10 to Report Job Opening in this tutorial. 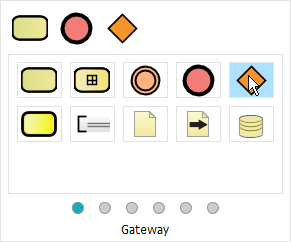 To create a gateway, first click the task you want to be followed by a gateway, click and hold the resource button Resource Catalog, drag the cursor to the desire position and release. Finally, select Gateway from the popup window. In this tutorial, we will be creating a gate after the task Review Job Posting. You can then rename the gateway using step 11. Repeat step 13 for more gateways. When all tasks and gateways are created, you can create the end events. 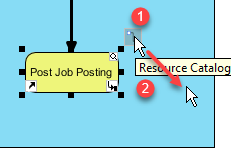 To create an end event click the event you would like to end with (Post Job Posting in this example), click and hold the resource button Resource Catalog, drag the cursor to the desire position and release, then select End Event from the popup window.